Hotel Tycoon is a game designed for 2-4 players aged 8 and over. Using a traditional board and playing pieces, players travel around purchasing land, building hotels and then charging their opponents to stay in the hotels until all but one player has run out of money and you have a winner! 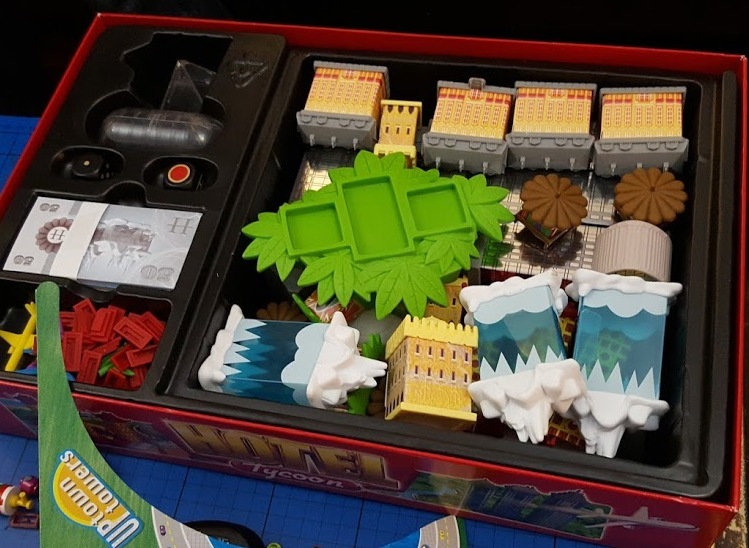 There are 28 3D buildings in Hotel Tycoon, and before you play for the first time you need to assemble them all, using shaped printed card with plastic bases and roofs. They're easily made, but allow time for this because it takes a while. We were chatting a lot, but it took 3 of us over an hour and was actually a pleasant and relaxing evening in itself. Once assembled the hotels and other buildings can all be stored safely in the box without having to dismantle them, there are even instructions included to help you do this. 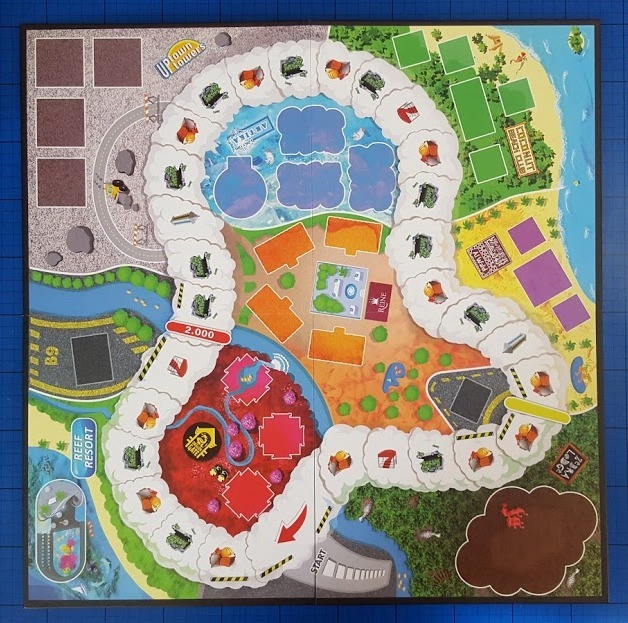 When you want to play after the initial set up is done, you can start straightaway each time. 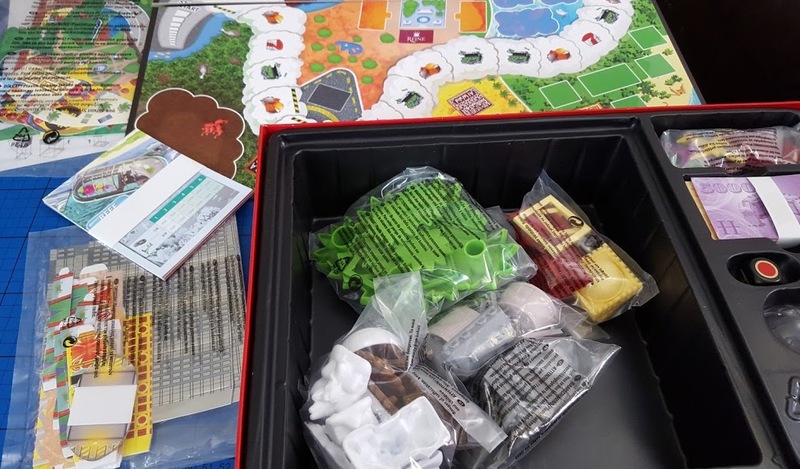 Play is simple and intuitive, and good fun. Travel around the board and carry out the action corresponding to the square you land on, purchasing land or building hotels, placing hotel entrances and then charging guests who 'visit' by landing on your hotel entrances. The bigger your hotel complex, the greater the bill! 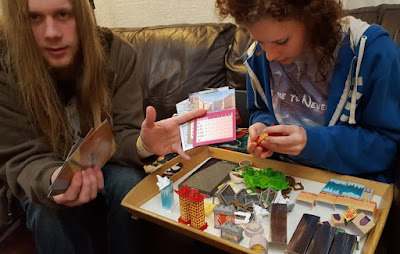 We have played a few games of Hotel Tycoon now and all enjoyed it. It took around an hour to play a full game, and it was only towards the end that anyone became bankrupt and lost everything, so no-one was sitting out alone for a long time. Hotel Tycoon is a lot of fun and gameplay is easy and calmly competitive. The board and 3D buildings are gorgeous to look at, and you do get a real sense of progression as more and more buildings come into play, and everyone wants to own the Ice Hotel! 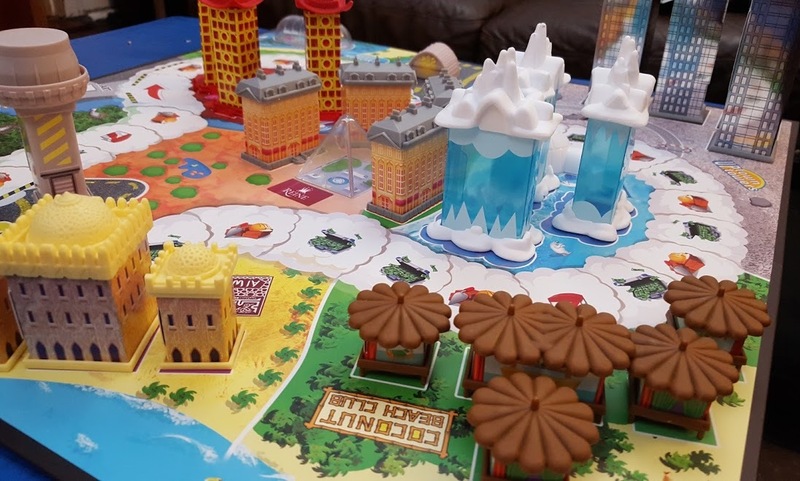 A great game to play with friends or older children. 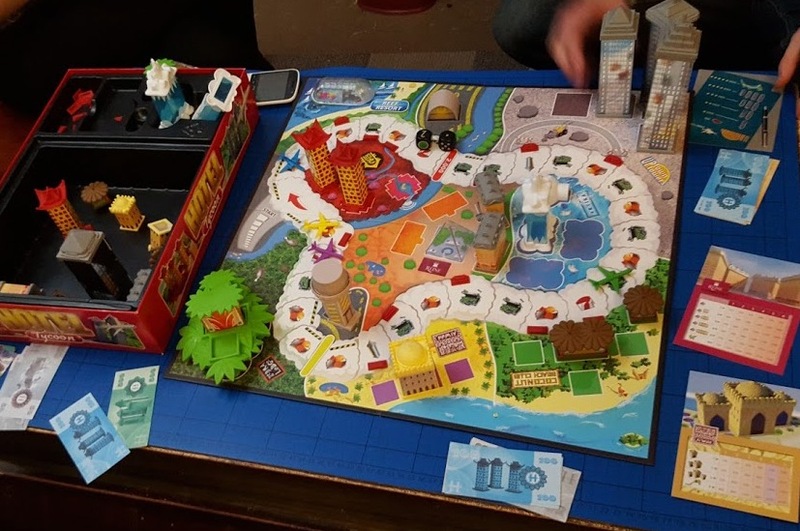 Hotel Tycoon has a recommended price of £24.99 and is available from Smyths, Toys R Us, Harrods, The Entertainer, Argos, Tesco and online at Amazon. You can find out more and read other reviews on the Hotel Tycoon website or Facebook Page. 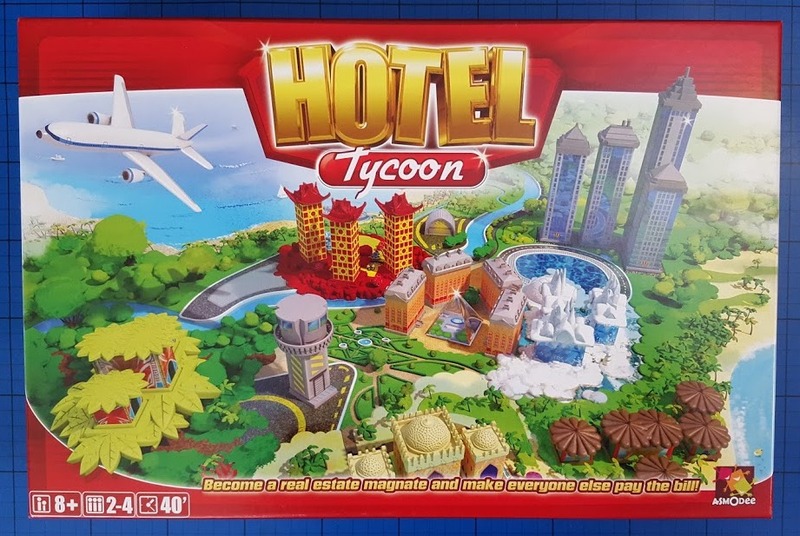 Esdevium Games have very kindly offered a copy of Hotel Tycoon as a giveaway prize for one of my readers. Entry to the giveaway is via the Gleam form below. UK entries only please. The giveaway will end at midnight on Wednesday 4th November. If you are new to entering blog giveaways or want to check out my other giveaways, then advice and links can be found on my giveaways page. My dream hotel would be called 'Tranquility' and be loacated on a beach in Hawaii! It would be called Disneymaniia - in disneyworld! It would called Paradise Heights & would be located on the hill overlooking Port Douglas in Queensland. It would be called "Tranquility" set on a Maldivian island in the middle of the Indian Ocean! It would be in the highlands and it would be called 10milewalk. In Vegas called The Supreme. The hotel would be located in the Bay of Islands in New Zealand and I would call it View and Dream. It would the Elf Lodge in Lapland. The Awesome Hotel, and it would be huge and in Las Vegas! My Dream Hotel would be called Sheer Bliss, and it would be just that on a secluded desert island empty of guests but with lots of activites, rest and relaxation to be had with my husband and gorgeous boys. Life of Riley in Majorca! It would be called Pax, facing onto a beach on a Thai Island! The World View Hotel, in orbit around the Earth! The hotel of Peace & it would be on a desert island.